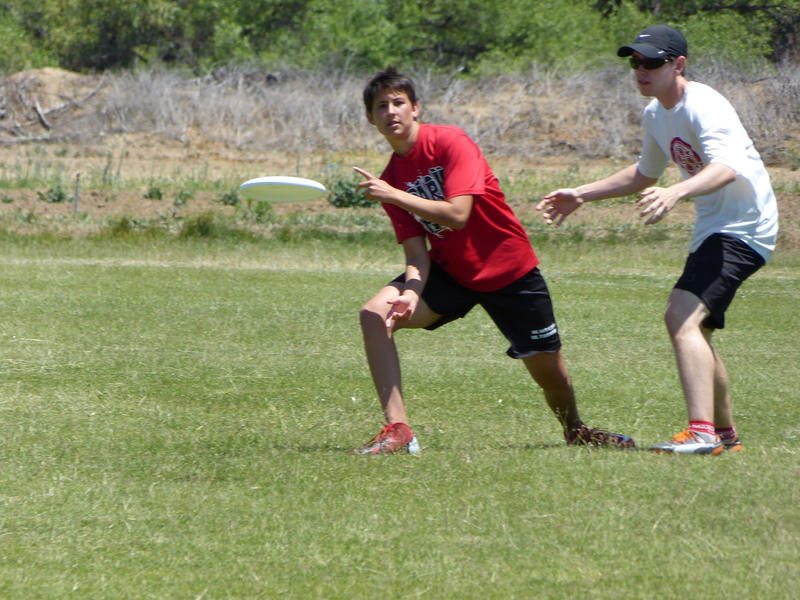 This entry was posted in Youth Ultimate and tagged Stefani Leto by Jesse White. Bookmark the permalink. I actually cried please in any way continue this. Quality blog post. This is the reason why I play Ultimate and this is why I encourage those around me to play. It can sometime be an overwhelming sport and can often be discouraging, but once it starts to click, oh man it becomes something totally different. Calling my team a “Tribe” or “Family” is inspiring and fills my heart with fire. VERY well put! These are the kinds of things people need to see about the sport we all love! This echos beautifully the message and idea of this game we love so much, that you for the piece, I’ve sent it to all the parents of the kids I coach here in Seattle. Why my daughter went in for her high school physical this morning so she could join the Ultimate club at her high school here in Bellingham. Awesome comments. The only one that likes catching a Frisbee more than my daughter is our border collie. And that could be debated. Wow. Just wow. You explained my love of the game so well. Dan Roddick forwarded this post to me. Dan authored the Spirit of the Game about 40 years ago. I have been a zealous proponent of its simple yet profound implications for most of my life. Reading Stefani’s words today–shortly after getting David Barkan’s Ultimate Peace video, is powerfully encouraging. Ultimate’s spirit of the game finally has a foothold in an athletic culture–nationally and beyond which is desperate for some fairness and civility. So thanks Stefani. Thanks David. The truth behind ultimate is how it reveals character…when I saw I didn’t like certain aspects of myself on the field…I decided to change. thank you ultimate and community for the space. My one and only, a daughter, just left for college this year. She played a few pick up games in high school and thought she’d look into the college team. She “made” the team. As I know nothing about the sport, via FaceTime, she explained it to me. She reverses her camera and explains the plays with her fingers on her bed! The only thing I understand about the game, is that it is about integrity, morals, honesty, and family! For a kid that had a rough experience in high school, hearing that she is part of an Ultimate family, I as her mother, can start to untie some of those strings that I have been so scared to let lose let alone let go! Hearing how “emotional” her initiation was from being a Rookie to not, to how a teammate listened, consoled, and assured her she was ok over a personal angst, comforts my heart knowing that she WILL be ok hundreds of miles away from ME because of HER Ultimate family! This is truly a blessing for her and an answer to a prayer for me!!! Thank you! Stefani, Beautiful words and I agree 100% with you, this is what Frisbee is about. I’ve played the game in The Netherlands and started when not many played it over there. I now have a son who just had his first tournament and grew so much. Yes, indeed it makes you happy and it felt so good when he jumped and made his first point and when he stood with all his teammates in a circle. What amjourney he can have and I hope he will continue and I will certainly let him read this. Thanks You. The only thing now is, where to play? because we live far away from it all, northern rivers. I know I have to travel and do it with pleisure as well as being frisbee mum, i like to shout and help out where I can. “Devoted” is an understatement! Joe, you are the ultimate Ultimate parent! Thank you for all your support for this sport. Perfect summary of ultimate! Almost crying this is so accurate. I hope more and more girls will get the opportunity to join this family. Shame though, there so many parents (Including mine) who hate the fact I play this sport, countless times I’ve sat them down and showed them it’s a ‘proper’ sport, they have barely accepted I play it now. Since I go to a lot of tournies they get pretty pissed cos I’m not there most weekends, Ultimate problems…. Did you tell them about how Ultimate qualified for the Olympics? Cause they may be a huge booster point. I always wonder what the people who say Ultimate isn’t a “real sport” mean (get ’em to define their terms first, that’s the way!). If they tried to play it, or even watched, they’d see that it asks for a high level of athleticism, so that can’t be it. “On TV” — well, now it is. There are so many ridiculous human endeavors that are called sports it seems insupportable to say this one isn’t. Now, worrying that your kid will want to play Ultimate for the rest of their life and need to find work to support that habit, that I can understand! You know you love ultimate when this article brings you to tears! Makes me think about how my dad never got the chance to see me play. When I play now, I imagine him in the stands watching me and cheering me on. Just like the article says, this sport molded me into who I am now. I loved this article. I grew up with ultimate. My brothers always taught me whatever new thing they learned and it has always been a family sport/bonding activity. I haven’t been able to play with them in a few years now, but I look forward to the day where I hear “[family name] versus” again and show them how much I’ve learned. Been playing ult for 30+ years, lifetime sport, amazing article, spot on…keep biddin for those discs! The tribe loves ya! Wow. This post describes so much of what I’ve been experiencing for the past 30+ years as an ultimate player. I still play and enjoy the Never Never Land feel of still being out there trying to chase down women who are half my age or younger. I love the tribe! and many of us develop life-long connections with some of our teammates. My parents took years to understand my need to play Frisbee(r) sports eventually they came around. Thank you for your awesome description of your daughter’s journey. Last year a young lady I played pickup Ultimate with applied for a position with my non-profit. Having played disc with her for some time proved to tell me most of what I needed to know about her character. From how she played the game I knew how hard she worked and yet that she placed fairness and personal integrity above winning; that she could be serious about playing her best yet fun-loving with her teammates; that she made smart choices and didn’t force plays outside of her ability level; that she was coachable and asked questions directed at improving her game or her team’s performance; that she used everyone on her team, even if they were new to the game and didn’t play well yet; that she made everyone feel welcome to be part of our crew. The game was the ultimate interview and she proved to be the ultimate employee. Great post! 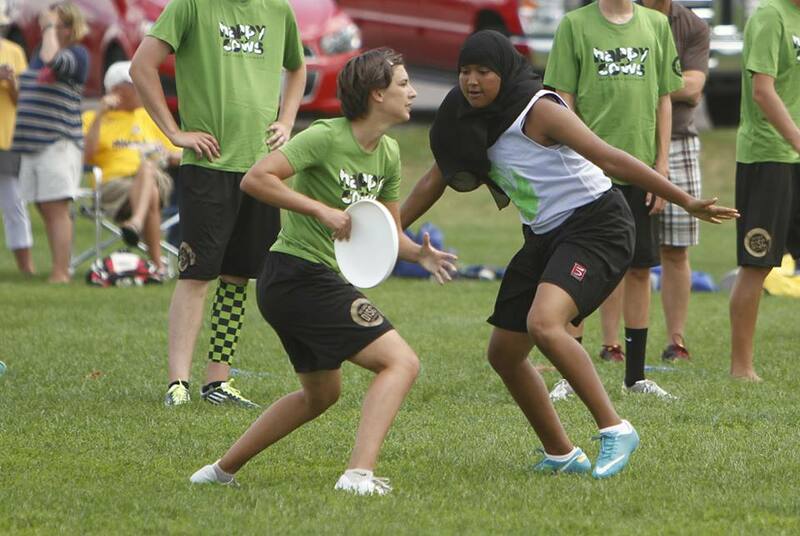 Really captures a lot of what makes Ultimate great for girls in particular. I wrote 2 related blog posts about what Ultimate taught me about my own body and also what I learned as a parent of girl athletes. I love that game! I am a 52 year old woman that had to stop playing ultimate after knee replacement. I started playing in my early 20’s and I cannot even begin to convey how much fun I had! Missing the greatest game ever! Oh, the people I met, the memories I hold dear to my heart! Wow what a great article, thanks for sharing this. Ultimate has the strongest sense of community of any sport I’ve encountered.